Cardiovascular disorders and metabolic disorders are considered to be amongst the leading causes of death worldwide. In fact, approximately one-third of the annual number of deaths across the globe are attributed to cardiovascular disorders. In the US, the annual economic burden associated with these disorders is estimated to be over USD 500 billion. According to a study conducted by RTI International for the American Heart Association, the prevalence of cardiovascular diseases is expected to rise to 45% of the overall US population, while affiliated costs are expected to be over USD 1 trillion by 2035. Despite considerable advances in healthcare, most of the currently available treatment options for cardiovascular disorders focus on palliative care and cannot actually repair damaged cardiac tissue. Although heart transplant is a viable option to treat complex cardiovascular conditions, the waiting time associated with this alternative is excruciatingly long. Likewise, a significant proportion of the global population suffers from diabetes or some form of metabolism related clinical condition. As per IDF Diabetes Atlas, the treatment of diabetes and related complications incurred USD 727 billion in global healthcare expenditure in 2017. In 2017, it was estimated that 425 million individuals, between the ages 20 years to 79 years, were living with diabetes across the globe, and this number is expected to increase substantially in the foreseen future. Similar to cardiovascular diseases, most of the current treatment options for metabolic disorders are indicated for only controlling / managing disease related symptoms. Advances in cell biology and regenerative medicine have led to the development of stem cell therapies that can potentially address several unmet needs and potentially offer a cure for various cardiovascular and metabolic disorders. The field of regenerative medicine has evolved substantially in the recent past; the first stem cell therapy, called Cellgram®-AMI (2011), was approved by the Ministry of Foods and Drug Safety of Korea, for the treatment of acute myocardial infarction. Presently, two other stem cell-based treatment options, namely HeartSheet (heart failure, 2015) and Stempeucel (critical limb ischemia, 2017), are commercially available for cardiovascular disorders. For metabolic disorders, most stem cell therapy candidates are still under development. However, there is one approved product, called Strimvelis for ADA-SCID (2016). Several stakeholders are engaged in efforts to advance the development of regenerative therapies for both cardiovascular and metabolic disorders. In fact, venture capital (VC) firms and government bodies are actively funding several such ongoing research initiatives. A detailed assessment of the current market landscape of stem cell therapies with respect to target therapeutic area (cardiovascular and metabolic), phase of development (approved, phase III, phase II, phase I and preclinical / discovery), target disease indications (Cardiovascular: heart failure, myocardial infarction, critical limb ischemia, angina, peripheral arterial / vascular diseases, myocardial ischemia, myocardial fibrosis, cardiomyopathy and coronary microvascular dysfunction; Metabolic: diabetes, mucopolysaccharidosis type III, ADA-SCID, obesity, mitochondrial disorders and metachromatic leukodystrophy), source of cells (autologous and allogenic), type of stem cells (adult multipotent, adult pluripotent, embryonic multipotent, embryonic pluripotent and others), stem cell lineage (bone marrow, peripheral blood, adipose tissue, cardiosphere, muscle, Wharton's jelly, umbilical cord, placenta, dental pulp, cord blood and pancreas), and route of administration (intramyocardial, intramuscular, intravenous, intracoronary, subcutaneous implantation and surgical implantation). An analysis highlighting the key unmet needs across cardiovascular and metabolic disorders, featuring insights generated from social media posts, recent scientific publications, patient blogs and the views of contemporary key opinion leaders as expressed on online platforms. An overview of the focus areas of therapy developers, including an assessment of the existing opportunity for stem cell therapies across diverse therapeutic indications. An insightful company competitiveness analysis featuring a three-dimensional bubble representation, highlighting the key players in this domain on the basis of the strength of their respective product portfolios, taking into consideration the number of therapies under development, phase of development of these therapies, number of disease indications being targeted and geographical distribution of affiliated clinical trials. An analysis of the partnerships that have been established in the domain in the period 2012-2018, covering R&D collaborations, licensing agreements, mergers and acquisitions, product development and / or commercialization agreements, manufacturing agreements, clinical trial agreements, process development agreements, and other relevant deals. An analysis of the investments made at various stages of development in companies that are focused in this area, including seed financing, venture capital financing, capital raised from IPOs / secondary offerings, debt financing and grants. An analysis of contemporary peer-reviewed scientific research articles published during the period 2013-2018, highlighting the key focus areas of the ongoing research activity, in terms of therapeutic area, target disease indication, and source of cells. Comprehensive profiles of approved and late stage clinical products; each profile features an overview of the therapy, its mechanism of action, history of development, current development status, key clinical trial results, details on recommended dose, price and manufacturing process (wherever available). One of the key objectives of the report was to understand the primary growth drivers and estimate the future size of the market. Based on parameters, such as target consumer segments, likely adoption rates and expected pricing, we have provided an informed estimate of the likely evolution of the market in the short to mid-term and long term, for the period 2019-2030. The report includes information on (potential) sales-based revenues generated by stem cell therapies that are currently marketed or are in late stages of development for the treatment of cardiovascular and metabolic disorders. Additionally, it presents details on the likely distribution of the current and forecasted opportunity across [A] target therapeutic areas (cardiovascular and metabolic), [B] target disease indications (myocardial ischemia, heart failure, critical limb ischemia, diabetes, ADA-SCID, metachromatic leukodystrophy, and other cardiovascular and metabolic disorders ), [C] type of stem cells (adult multipotent, adult pluripotent and embryonic multipotent), [D] source of cells (autologous and allogenic), [E] stem cell lineage (bone marrow, peripheral blood and others), [F] route of administration (intramyocardial, intracoronary, intramuscular, intravenous and surgical implantation) and [G] key geographical regions (North America, Europe and Asia Pacific). To account for the uncertainties associated with the development of novel therapy products and to add robustness to our model, we have provided three forecast scenarios, portraying the conservative, base and optimistic tracks of the market’s evolution. Chapter 2 provides an executive summary of the insights captured during our research. It offers a high-level view on the current scenario and the likely evolution of the stem cell therapies market for cardiovascular and metabolic disorders in the short to mid-term and long term. Chapter 3 features a brief introduction to the basic concepts related to stem cell-based therapies and the intricacies of their development and administration. 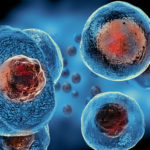 In addition, it includes information on the various types of stem cell therapies (based on the source, potency and lineage of stem cells), modes of delivery and the diseases targeted by such therapies. Further, it provides details on cardiovascular and metabolic disorders, and the key indications that are being considered for treatment using stem cell therapies. Additionally, it highlights the challenges associated with stem cell therapies and provides brief insights on the anticipated future of such therapies, focusing on the treatment of cardiovascular and metabolic disorders. Chapter 4 includes information on over 60 therapies that are currently approved / under development by industry players for the treatment of cardiovascular or metabolic disorders. It features a comprehensive analysis of pipeline therapies, highlighting the target therapeutic area (cardiovascular and metabolic), phase of development (approved, phase III, phase II, phase I and preclinical / discovery), target disease indication (Cardiovascular: heart failure, myocardial infarction, critical limb ischemia, angina, peripheral arterial / vascular diseases, myocardial ischemia, myocardial fibrosis, cardiomyopathy and coronary microvascular dysfunction; Metabolic: diabetes, mucopolysaccharidosis type III, ADA-SCID, obesity, mitochondrial disorders and metachromatic leukodystrophy), source of cells (autologous and allogenic), type of stem cells (adult multipotent, adult pluripotent, embryonic multipotent, embryonic pluripotent and others), stem cell lineage (bone marrow, peripheral blood, adipose tissue, cardiosphere, muscle, Wharton's jelly, umbilical cord, placenta, dental pulp, cord blood and pancreas), and route of administration (intramyocardial, intramuscular, intravenous, intracoronary, subcutaneous implantation and surgical implantation). Additionally, the chapter features information on over 40 therapies that are currently being developed by academic players. It also lists over 15 therapies that are being developed for the treatment of stroke. Chapter 5 highlights the key unmet needs associated with stem cell therapies that are currently available / being developed for cardiovascular and metabolic disorders. The chapter provides detailed analysis of the various challenges and areas of concern, which were identified from views expressed by patients / experts across different platforms, such as social media posts, recent scientific publications, patient blogs, and the inputs of key opinion leaders. The chapter presents insightful word clouds, summarizing the opinions expressed across various public online portals. Chapter 6 highlights the key target indications (myocardial infarction, heart failure, critical limb ischemia and diabetes) for which more than 7 stem cell therapies are currently under development. For each of these diseases, the chapter provides details on epidemiology, available treatment options, and the current market landscape of stem cell therapies (with respect to type of stem cell therapy, companies involved and phase of development). Chapter 7 presents a three-dimensional bubble analysis highlighting the key companies (focused on cardiovascular and metabolic disorders) on the basis of the strength of their respective product portfolios, which takes into account the number of therapies under development, phase of development of candidate therapies, number of disease indications being targeted and geographical distribution of affiliated clinical trials. Chapter 8 features an elaborate discussion and analysis of the various collaborations and partnerships that have been inked amongst players in this market. We have also discussed the different partnership models (including R&D collaborations, licensing agreements, mergers and acquisitions, product development and / or commercialization agreements, manufacturing agreements, clinical trial agreement, process development agreement and other deals), and the most common forms of deals / agreements that have been established from 2012 to 2018. Chapter 9 presents details on various investments and grants received by companies that are engaged in this domain. It includes a detailed analysis of the funding instances that have taken place during the period between 2012-2018, highlighting the growing interest of the venture capital community and other strategic investors within this market. Chapter 10 provides a publication analysis, highlighting the recent trends in published literature related to stem cell therapies for cardiovascular and metabolic disorders. The chapter highlights the key focus areas of the ongoing research activity, in terms of type of therapeutic area, target disease indication, and source of cells. Chapter 11 contains detailed profiles of drugs that are recently approved or are in advanced stages of clinical development (phase III) for cardiovascular disorders. Each profile features an overview of the therapy, its mechanism of action, history of development, current development status, key clinical trial results, details on administered dose, price and manufacturing process (wherever available). Chapter 12 contains detailed profiles of drugs that are recently approved or are in advanced stages of clinical development (phase II or above) for metabolic disorders. Each profile features an overview of the therapy, its mechanism of action, history of development, current development status, key clinical trial results, details on administered dose, price and manufacturing process (wherever available). Chapter 13 presents a comprehensive market forecast analysis, highlighting the future potential of the market till the year 2030. It provides the market estimations for therapies that are either already approved or are in the late phases of clinical development (phase III), taking into consideration the target patient population, existing / future competition, likely adoption rates and the likely price. The chapter also presents a detailed segmentation of the opportunity on the basis of [A] target therapeutic area (cardiovascular and metabolic), [B] target disease indications (myocardial ischemia, heart failure, critical limb ischemia, diabetes, ADA-SCID, metachromatic leukodystrophy, and other cardiovascular and metabolic disorders), [C] type of stem cells (adult multipotent, adult pluripotent and embryonic multipotent), [D] source of cells (autologous and allogenic), [E] stem cell lineage (bone marrow, peripheral blood and others), [F] route of administration (intramyocardial, intracoronary, intramuscular, intravenous and surgical implantation) and [G] key geographical regions (North America, Europe and Asia Pacific). Chapter 15 is a collection of interview transcripts of the discussions that were held with key stakeholders in this market. The chapter provides details of interviews held with Michel Revel (Chief Scientist, Kadimastem), Galit Mazooz-Perlmuter (Business Development Manager, Kadimastem), and Xuejun H Parsons (Chief Executive Officer, Xcelthera). Chapter 16 is an appendix, which provides tabulated data and numbers for all the figures included in the report.